Freeform picked up a fourth season of the hit original comedy series Young & Hungry. Production on the new season began yesterday, Monday, March 7. The series is currently airing its third season on Wednesday nights at 8pm on Freeform. Season to date, Young & Hungry is cable TV's #1 scripted original series in its time period in target Adult 18-34 and Adult 18-49 demographics. The series and cast have been nominated for five Teen Choice Awards since its premiere in the summer of 2014. The multi-camera sitcom is produced by David Holden, Ashley Tisdale, Jessica Rhoades, Caryn Lucas, and Eric Tannenbaum and Kim Tannenbaum in association with CBS Television Studios. Gabi Moskowitz, of BrokeAssGourmet.com, is a San Francisco-based food blogger and contributed to the development of this project. The series stars Emily Osment as Gabi Diamond, Jonathan Sadowski as Josh Kaminski, Aimee Carrero as Sofia Rodriguez, Kym Whitley as Yolanda and Rex Lee as Elliot Park. 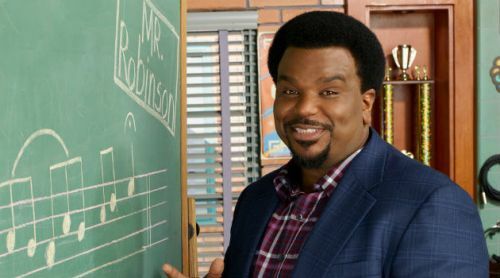 Craig Robinson (Mr. Robinson, The Office) has been cast as a recurring star in the highly-anticipated second season of USA Network's award-winning drama series Mr. Robot. Robinson will star as Ray, a neighborhood local who reaches out to Elliot in his time of need. He joins the previously announced Joey Bada$$ and Chris Conroy (Members Only) for the 10-episode second season. Beginning as a stand-up comedian, Robinson first made his mark in the comedy circuit at the 1998 Montreal Just For Laughs Festival. Now headlining venues and festivals across the country, he does both solo acts as well as full-band sets with his band "The Nasty Delicious." While studying education in Chicago, Robinson discovered his love of acting and comedy when he joined the famed Second City Theatre. Film credits include Knocked Up, This is the End, Hot Tub Time Machine and Hot Tub Time Machine 2 as well as his television sitcom Mr. Robinson. Mr. Robot stars Golden Globe Award and SAG(R) Award Nominee Rami Malek (The Pacific), Golden Globe Award Winner Christian Slater (Nymphomaniac), Portia Doubleday (Her), Carly Chaikin (Suburgatory), Grace Gummer (The Extant), Michael Cristofer (Ray Donovan) and Stephanie Corneliussen (Legends of Tomorrow). From Universal Cable Productions, the series hails from writer and executive producer Sam Esmail (Comet) as well as Anonymous Content executive producers Steve Golin (True Detective) and Chad Hamilton (Breakup at a Wedding).